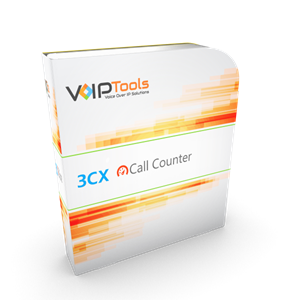 3CX Relay Agent is a FREE utility that is used exclusively by VoIPTools products to communicate with 3CX either locally or in the cloud. 1. Offers a streamlined approach to calling the 3CX Call Control APIs. 2. Creates an abstraction layer to insulate VoIPTools products from changes made by 3CX. 3. 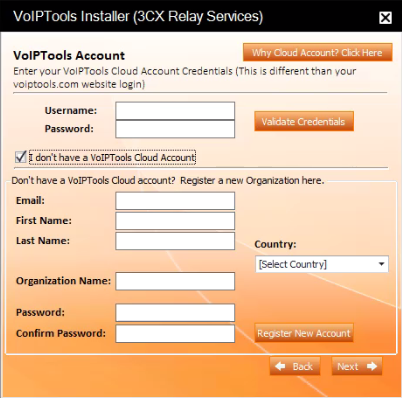 Allows VoIPTools products to run on a remote server separate from the 3CX server. 4. Enforces a consistent approach to integrating with 3CX. 5. Reduces the time required to develop custom 3CX integrations through code reuse. 6. Encrypts authentication between VoIPTools and 3CX. 1.3. How does it work? 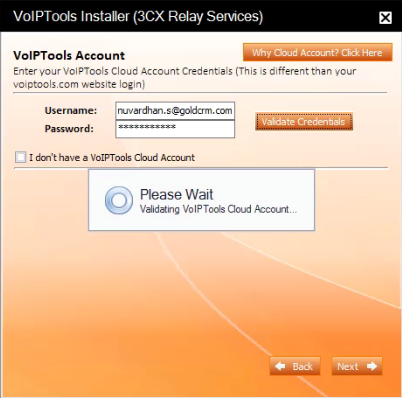 3CX Relay Agent is used in combination with other VoIPTools products. The agent accepts multiple connections from VoIPToys products while making a single connection to 3CX. 1.4. How often should you install it? You can visit on-line at http://www.voiptools.com and download the free utility from the Download sample link. 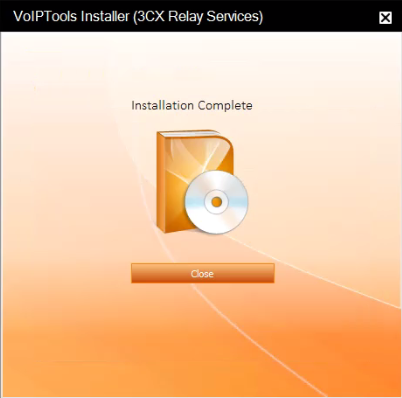 Most of the VoIPTools products offer you the facility to download the Relay Installer by clicking on the Download Relay button and install directly on 3CX Server by clicking the Install/ Upgrade Relay button. 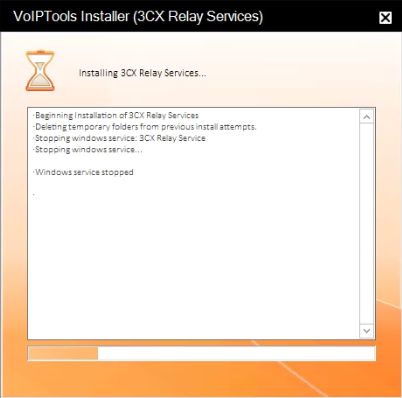 There are a number of prerequisites that must be installed prior to installing 3CX Relay Agent. VoIPTools applications interact with 3CX through the VoIPTools 3CX Relay Service. The Relay must be installed on the server where 3CX is installed. 2. Double-click the file to start the VoIPTools Installer. 3. In the Username field, enter VoIPTools Cloud Account username. 4. In the Password field, enter VoIPTools Cloud Account password. a. 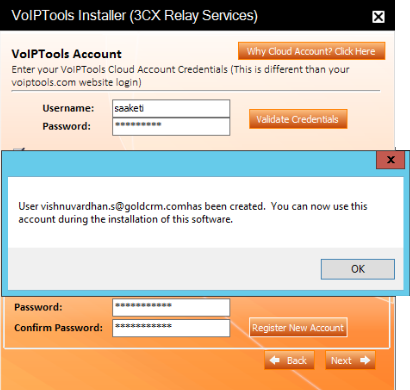 Check I don’t have a VoIPTools Cloud Account check box. b. In the Email field, enter your new VoIPTools Cloud Account. c. In the First Name field, enter your first name. d. In the Last Name field, enter your last name. e. From the Country dropdown, select your country. f. In the Organization Name field, enter the name of your organization. g. In the Password field, enter your new password. h. In the Confirm Password field, confirm your password. i. Click Register New Account button. j. Once the registration of account is successful, confirmation message box appears. Click OK.
6. Click Validate Credentials button. 7. Once the validation is successful, success message box appears. Click OK.
9. When the software installation is complete, click Close.